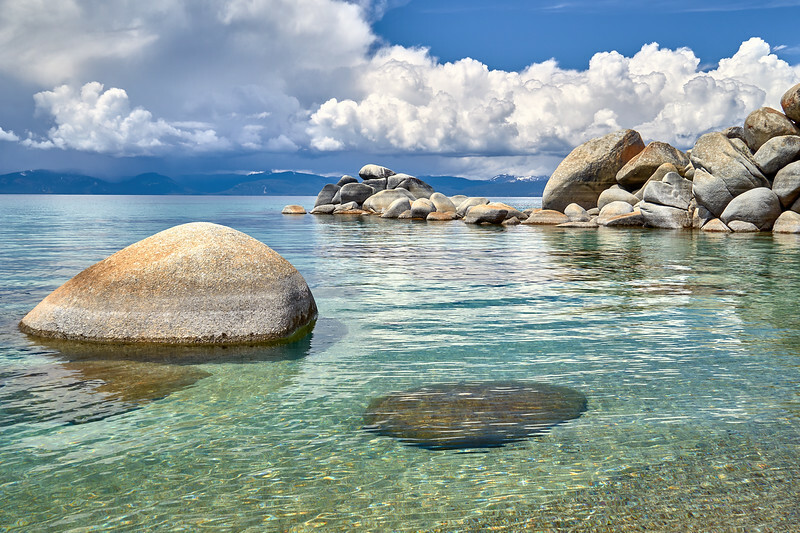 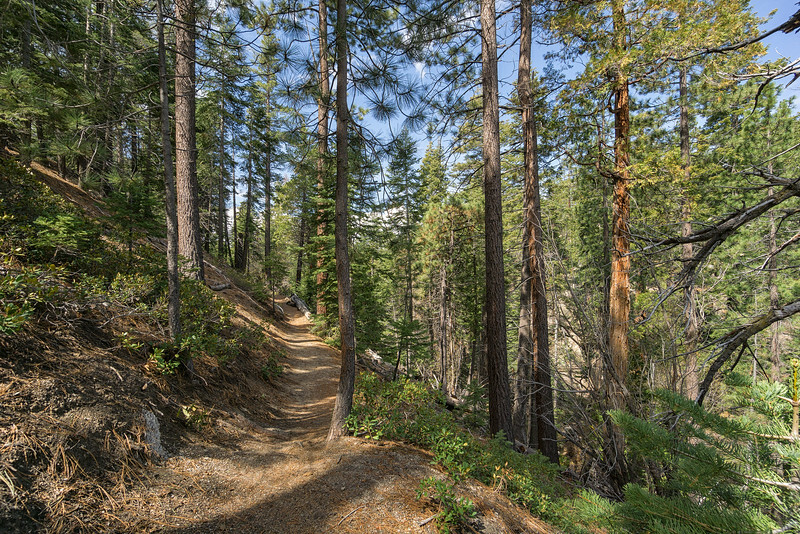 This short hike to Lake Tahoe drops you off at the world-famous pristine waters with miles of shoreline to explore and private coves. 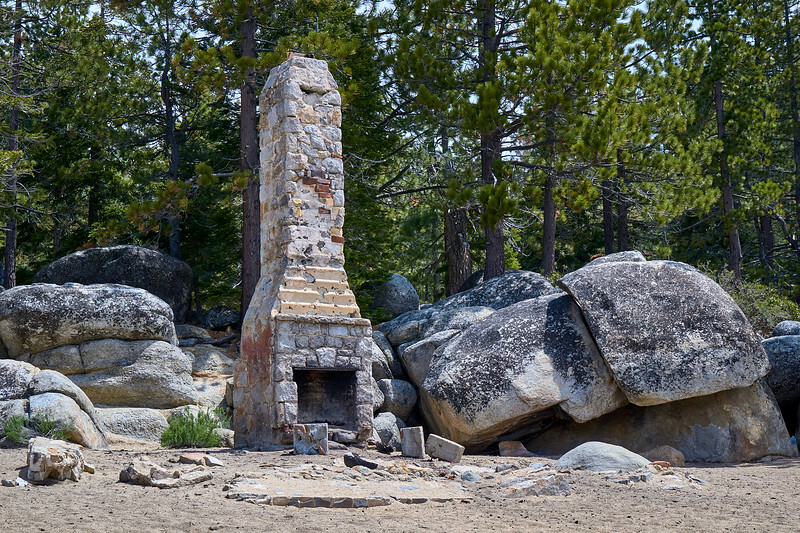 Stacks of boulders common on the east shore of Lake Tahoe. 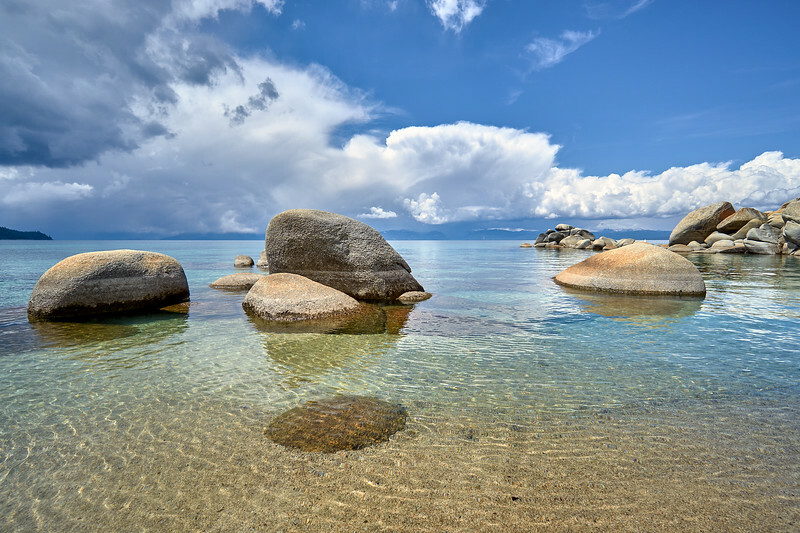 The clear waters of Chimney Beach, looking towards storms at south Lake Tahoe. 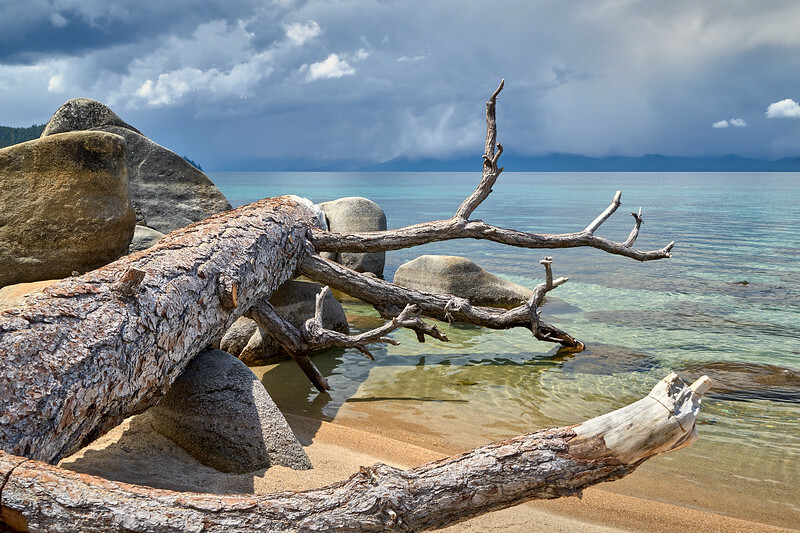 A fallen tree at Chimney Beach. 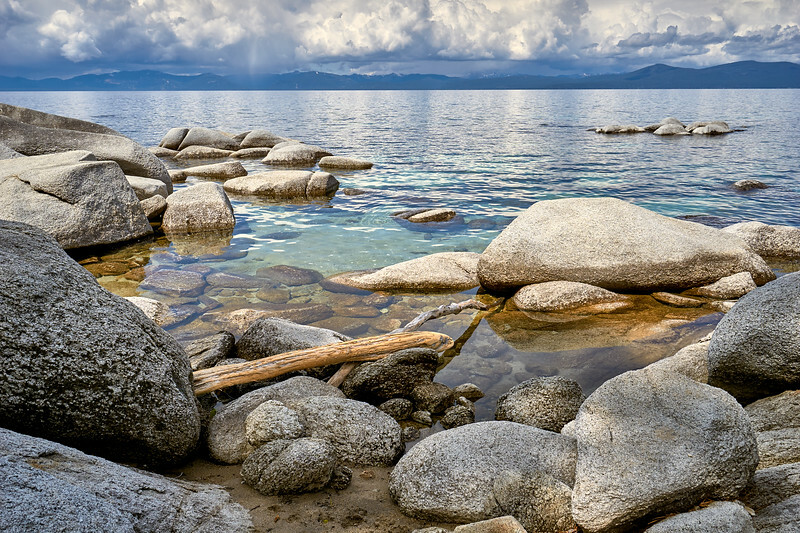 Virga (rain that evaporates before hitting the ground) on the west shore of Lake Tahoe, from Chimney Beach. 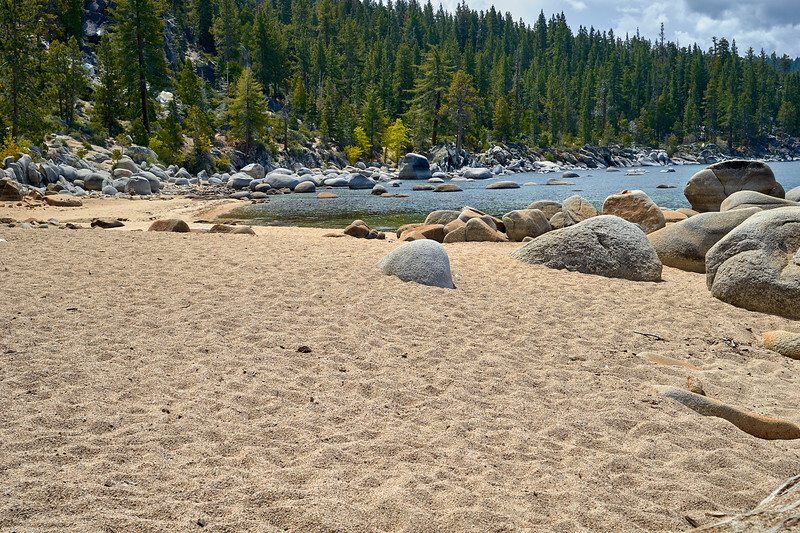 North end of Chimney Beach, looking south. 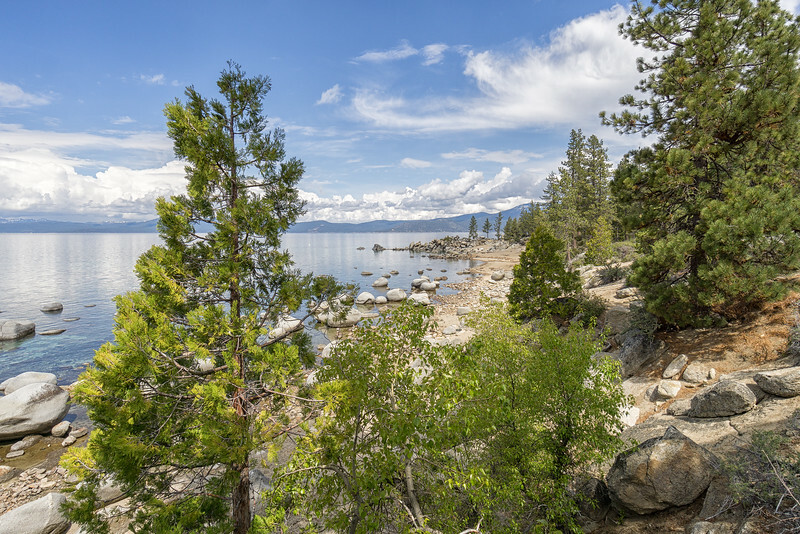 On the south end of Chimney Beach, looking north from the trail that parallels the beach. 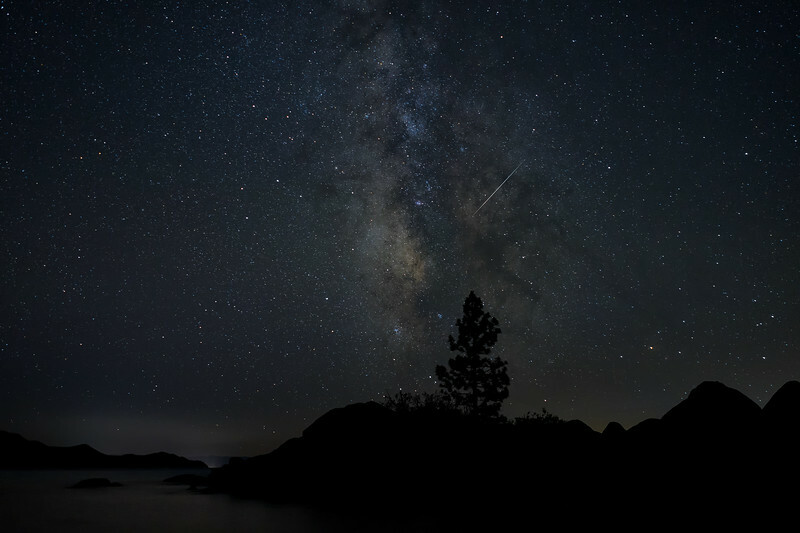 The Milky Way and Perseid meteor shower from Hidden Beach, Nevada.